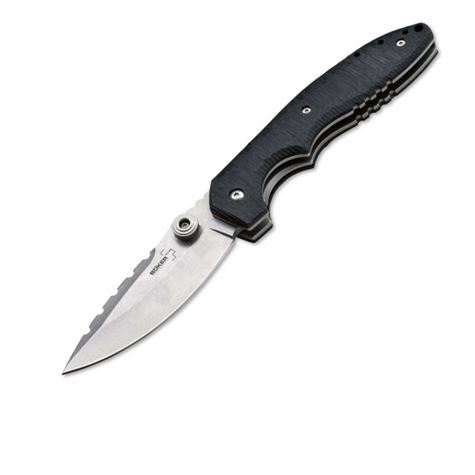 Drop point blad i rustfritt 440C stål med tommelknapp for enhåndsåpning. Designet av Ram Maramba fra Texas, USA. Texas knife maker Ram Maramba is known for his designs, blending clear lines and flowing forms into highly appealing compositions. The thin grip provides outstanding handling, and the bellied cutting line makes the Sulaco a highly effective cutting tool. 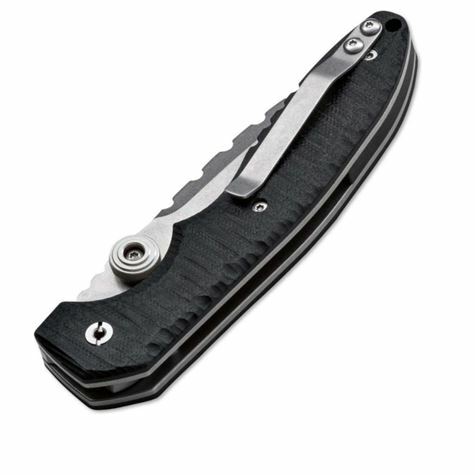 The milled finish of the G10 scales provides outstanding grip, while the stout liner lock reliably engages the blade.